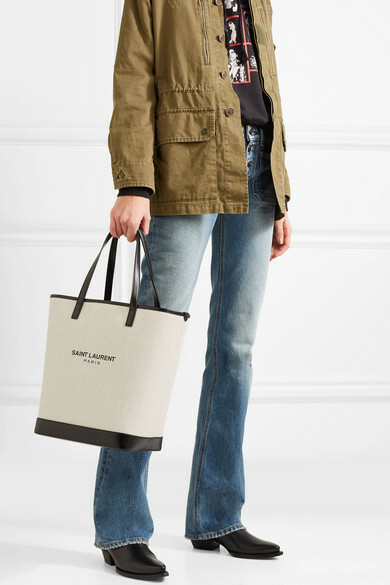 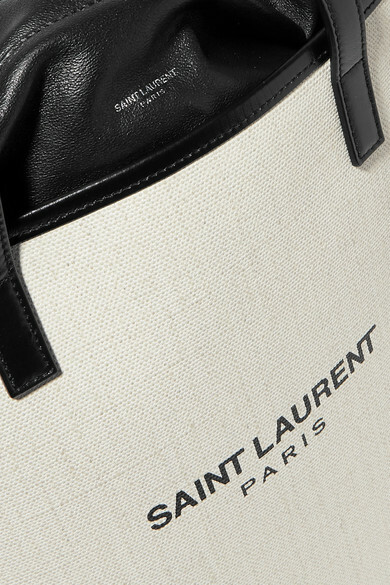 From beach getaways to shopping trips in the city, Saint Laurent's 'Teddy' tote is the perfect everyday bag. 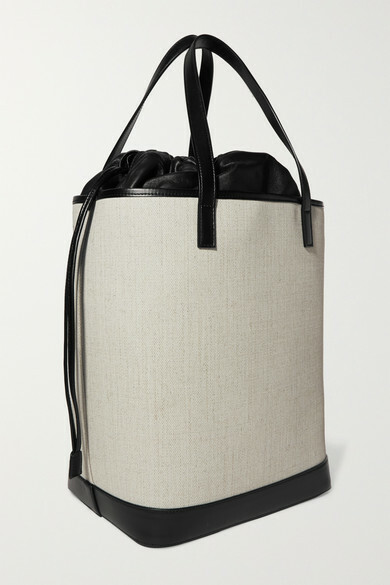 It's made from durable canvas with a supple drawstring top, and is generously sized to fit a book or magazine, tablet and spare pair of flats. 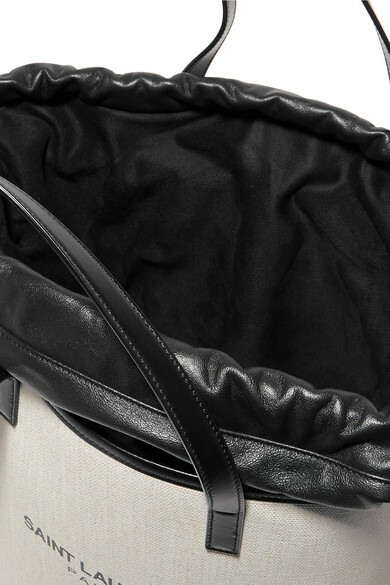 The handy pouch inside makes it easy to find your cards or keys. 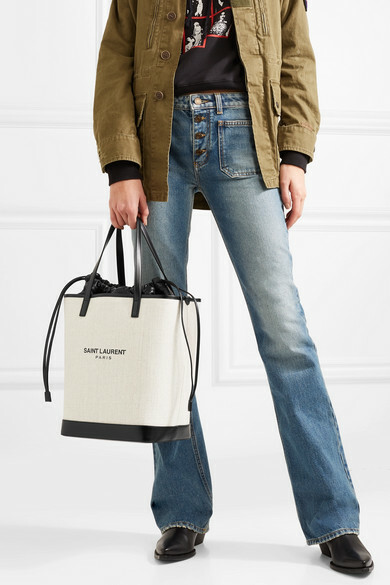 Shown here with: Saint Laurent Jeans, Saint Laurent Hoodie, Saint Laurent Jacket, Saint Laurent Ankle boots.